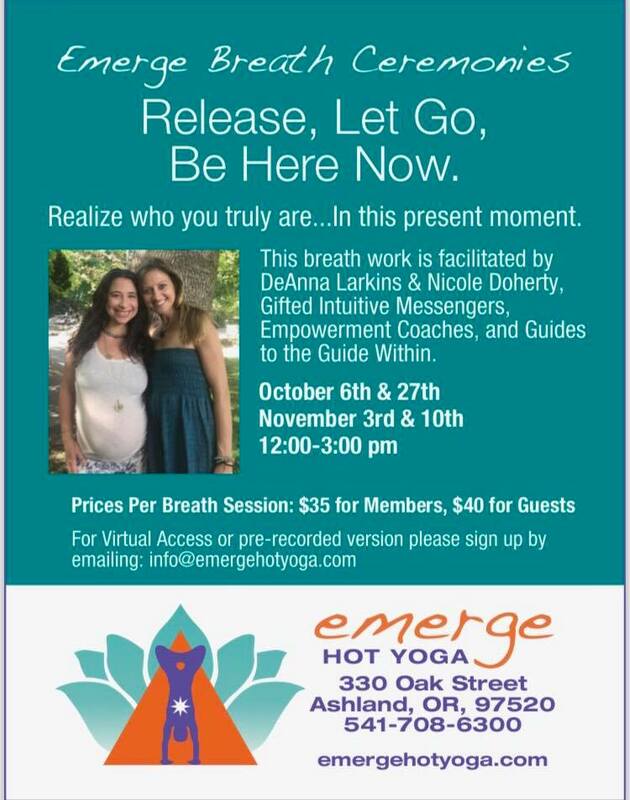 Release, Let Go, Be Here Now. Realize who you truly are in the present moment! Our breath is the medicine. We can heal our past conditions, old believe systems, and lineage patterns that are holding us hostage. Discover how to live a life that is raw, authentic and true with compassion. Are you willing to let go, surrender, let God in and be present to live the life that you know you are meant to live? It’s time to release the ways that you may punish, resent, victimize, or disempower yourself. What choice can you make to shift your life into one that feels free? Discover an all natural method that opens up the heart and brings you to a place that’s connected.